There is a common misconception that going to law school is a guaranteed path to financial success. While many lawyers may become wealthy in the later years of their practice, the lawyer licensing process is expensive and competitive. It requires patience, hard work and most importantly financial resources. Individuals might be able to learn patience and hard work, but sadly students from marginalized and middle-class communities have limited guidance and financial means to make it through Canadian law schools. In 2018, the reality is that many law students graduate with more than $100,000 in debt without any guarantee that they will find a well-paid articling position or a job in the future. A top Canadian law school’s full-time domestic students’ fee is approximately $40,000 a year for three years. For international students, that cost rises to about $51,000 per year. According to Statistics Canada, the average Canadian salary is $55,806.40 per year. 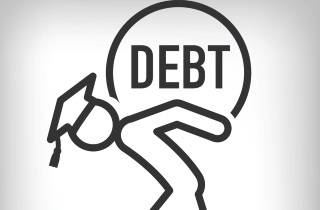 Due to the high cost of legal education, a middle-class student can only rely on commercial loans to pay the fees, ending up with more than $100,000 in debt. Desperate to pay off the debt after graduation, the average middle-class student will only search for well-paid jobs while overlooking what their true passion is. It is important to note that these new lawyers may not be willing to help the vulnerable in our society due to the pressure of making more money. This disrupts access to justice making legal services costly and less accessible to the vulnerable in our society. While there have been many commendable attempts to reduce the cost of legal education, there are still additional expenses associated with the lawyer licensing process. For example, the University of Toronto has officially launched the Campaign for Excellence without Barriers to help students afford law school and to enhance their learning experience. They have raised $25 million for this bursary-focused campaign. Moreover, Osgoode Hall Law School is increasing Income Contingent Loan Program (ICLP) by $200,000 and its accessibility fund by $500,000. These campaigns and bursaries may help a fraction of students pay their tuition fee for law schools but there are additional costs associated with the lawyer licensing process. These additional costs include the fees associated with the application to the law society, licensing examination fee, experiential training fee, applicant licensing fee and administrative fees for the monthly payment plan. The approximate cost comes close to $6,000. How is a law student graduating with more than $100,000 in debt expected to pay these additional costs? Moreover, in today’s competitive landscape there is no guarantee that after graduation a law student will find an articling position let alone find a well-paid one. In the past, students who didn’t find an articling position had to wait a year to apply again in the next available session. The introduction of Ryerson University’s Law Practice Program (LPP) affirms the issue of limited articling positions available for law students. LPP is an innovative alternative to traditional articling through a rigorous and demanding eight-month program combining online training and experiential learning with a hands-on work term. Recently, the Ontario government has not approved funding for Ryerson University’s proposed law school, citing a high probability of unemployment in the legal field and an excess of students looking for articling positions. This clearly indicates how difficult it is for recent law graduates to find an articling position and pay off their debts. With monthly payments more than $1,700 for regular expenses and loan repayment these recent law graduates are left in an unfair situation. Internationally trained lawyers who enter the Canadian legal landscape also face similar issues. If an internationally trained lawyer wishes to complete the National Committee on Accreditation (NCA) exams from top Canadian law schools, the fee is $35,540 for domestic students and $61,043.52 for international students. Most faculties of laws do not offer direct financing or student financial aid for the program offered to internationally trained lawyers. These students are not eligible to apply for the second and third year on campus interview process or summer positions available to JD students. Hence, an internationally trained lawyer when writing the challenge exam is too qualified to work as a law clerk and under-qualified to work as a legal summer student. It seems reasonable to conclude that individuals from marginalized and middle-class communities should be encouraged to apply to law schools to achieve access to justice. The Canadian government should offer support throughout the lawyers’ licensing process from the time a student applies to law school until the time they are called to the bar. The more support the student has, the more likely the student will graduate with less debt and be willing to help the vulnerable in our society. This would reduce the cost of legal services making the services more accessible to the ones who need it the most. Moreover, law students and internationally trained lawyers should have access to more professional legal experience. Otherwise, our legal system will become increasingly inefficient at promoting access to justice and affordable legal services. 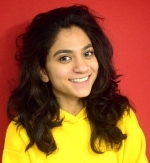 Rabeea Khalid is an internationally trained lawyer and an LLM graduate from Osgoode Hall Law School. She is currently going through the lawyer licensing process and is a fierce advocate for access to justice issues in Canada. She is working at a legal-tech startup ParDONE that helps individuals with criminal records go through the record suspension process. She is also part of student-led initiative directed to explore and analyze the layout of the legal system in Canada, hoping to bring to light some strategies and potential solutions to solving the major barrier to accessing justice: the cost of justice. She can be found on LinkedIn here.